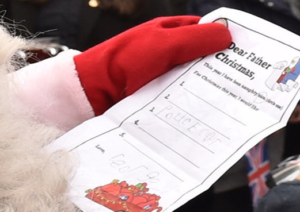 On the lead up to Christmas, we were urging parents to get their children to hand write a letter to Santa, so we were delighted to see that the Duke and Duchess of Cambridge encouraged Prince George to hand write his list for Santa this Christmas. We were equally delighted that the young royal is being taught the correct style of handwriting. We came across images of Prince George’s handwritten Christmas list on the Huffington Post where his handwriting was described as ‘adorable’. After taking a good look at these pictures, we were even more delighted to see that Prince George is being taught with the correct method of handwriting – print and not the current educational craze of the continuous cursive style with the entry/lead in stroke. 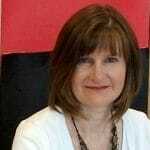 We have previously discussed the strange obsession happening in our primary schools with many schools opting to teach handwriting with the continuous cursive method and rushing their students from Reception to Year 2 to join their writing, in order to tick boxes of the Primary Assessments. The continuous cursive method is both pointless and destructive to handwriting, and does not conform to the National Curriculum. There is no credible research to validate its effectiveness. In fact, there is more evidence to demonstrate the damage that it causes. If you would like your child to have ‘adorable’ handwriting like Prince George, get in touch with us, or visit us at one of our upcoming free workshops. We can provide your child with the support they need to master beautiful, legible handwriting.